We support a wonderful project in one of the remote villages in the Sacred Valley and the children there have done some beautiful paintings depicting their lives. These have been made into greetings cards and are available at Sonias Smile 85 Main Street. 12 for £4.50 with 100% going to the project to help them with essentials that we take for granted. They are not actually Christmas cards but could be used as such and spread a message of good will for real!! Although there has not been much press reporting about the twinning recently, the work goes on and Kay has been in the Primary School with several lessons being dedicated to the twinning and the children are keen to send Christmas messages. We are having a display stand at the park and hope to have tasting samples of the new instant coffee which Cafe Direct are launching later in August called Machu Picchu! We paid a visit to Haworth Primary school to present the letters to the children who were suitably amazed and delighted. The children will now move to upper schools and it is hoped that they will continue the friendship and spread the project. We will introduce a new group next year. Kay and I are back from Peru with the agreement signed by the Mayor of Machu Picchu. The full council had discussed it and he gave a statement saying how honoured he was. We were both moved and impressed by what he said and because of Kay's brilliant Spanish (and a little Quechua)and her background in education, we were able to discuss the ways we will begin our friendship. We have a little catching up to do and then we can have a meeting, the first completely authentic, officially stamped one! Just after our meeting they had to get on with organizing for a celebration on 7 July to host people from all over the world for the second anniversary of being voted one of the New Seven Wonders of the World and yet they said how amazed they were that we thought enough about them to make the video and ask to be their friends! Why twin with Machu Picchu, Peru? Machu Picchu and Haworth are both world renowned places of interest and tourist attractions. The semi rural / agricultural location. Both are valley areas Sacred Valley and Worth Valley. Similar village layout and population size. Both villages are served by a famous railway line. 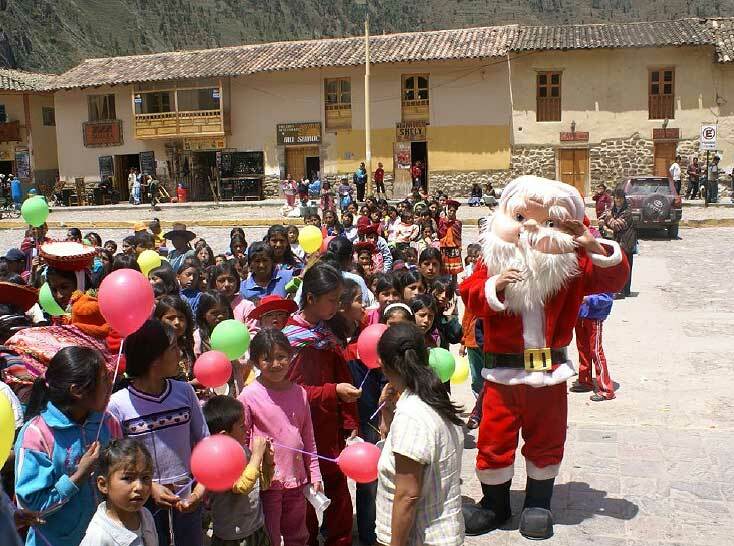 · Sponsorship of children who have learning disabilities in the Sacred valley area through ‘Kiya Survivors’ a charity set up by a young English woman in her gap year and later married a Peruvian, she has since had a child of her own. · Contact and visit to a non-profit Spanish school in Cusco which uses the proceeds of the Spanish lessons to foreigners to provide education, food and emotional support for 23 underprivileged children. We intend to provide books for their library. · Memberships of UKOWLA linking association and Peru Support Group. · Visit to Machu Picchu to make links with the Mayor of Machu Picchu, tourist information, teachers and school children. ·The first consignment of books for the depleted library in Machu Picchu has been presented to the Mayor. ·‘Friendship Agreement’ to be signed by two representatives has been sent to Machu Picchu. · Exchange day celebration has taken place – Local MP, Lord Mayor of Bradford, councils and representatives, schools, Peruvian band Apu sponsorship by Cusquena beer among others, televised by Yorkshire TV. 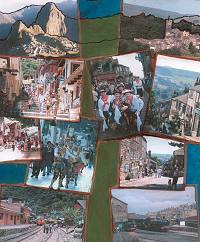 · A small library about Machu Picchu, Peru and the Inca culture is to be established here in Haworth. · Help Machu Picchu restock their library. The children need to learn English as they are wholly dependant on tourism. · Language, education and culture exchange clubs via schools and colleges in both areas. · Haworth village video to be made and sent to Machu Picchu showing an insight into Haworth daily life. · Establish links in surrounding towns and villages to assist more deprived areas in both countries. · Continue to increase sponsorships for the children at the Rainbow centre. · Possibility to send out of date but usable medicine to a hospital.
. A local optician has offered to collect used spectacles for the people of Peru. · Look into how we can help with a water project in a remote village. · Apply for funding to have eventual exchange visit for someone who otherwise would be unable to afford it. · Fund a teacher to spend 6 months with the Machu Picchu school. The original draft Constitution was discussed and agreed with the addition that the positions could be re-elected every three years. The dvds were discussed and it was decided that as the cost of each was more that originally thought delivery would be concentrated on an area closer to Haworth and a note inside the mag saying where one can be collected. The pages were reduced from 4 to 2. Krysia will contact Cnet to confirm the changes. Rita and Liz will get the editorial together by 20th April for inclusion in the May issue. The appointment of a chair, treasurer and secretary has been put on hold until after the promotion, Krysia expressed a wish not to be part of the group but offered her help whenever requested. Julia thanked Krysia for all the valuable policy work and funding help. Julia, Rita and Kay discussed World Fair Trade day May 10th . Resources have been ordered, balloons, posters etc and it is hoped to find a venue for some Peruvian storytelling (Julia) and Fairtrade coffee/tea. Rita to contact Ed Savage, Kay will contact the primary school to talk about how we can include the children. latest! latest! latest! latest! latest! Radio 4's PM programme on Saturday 12 April featured an interview with Rita about the twinning. They had picked up on it from a newly published Government list which now includes many expotic places. The following day Sunday there was an article in the Independent newspaper about the newly released Government list and featured the Bronte and Inca link in the headlines.